OK I raised my kids on Gold Fish crackers and KD - that's Kraft Dinner not K. D. Lang. 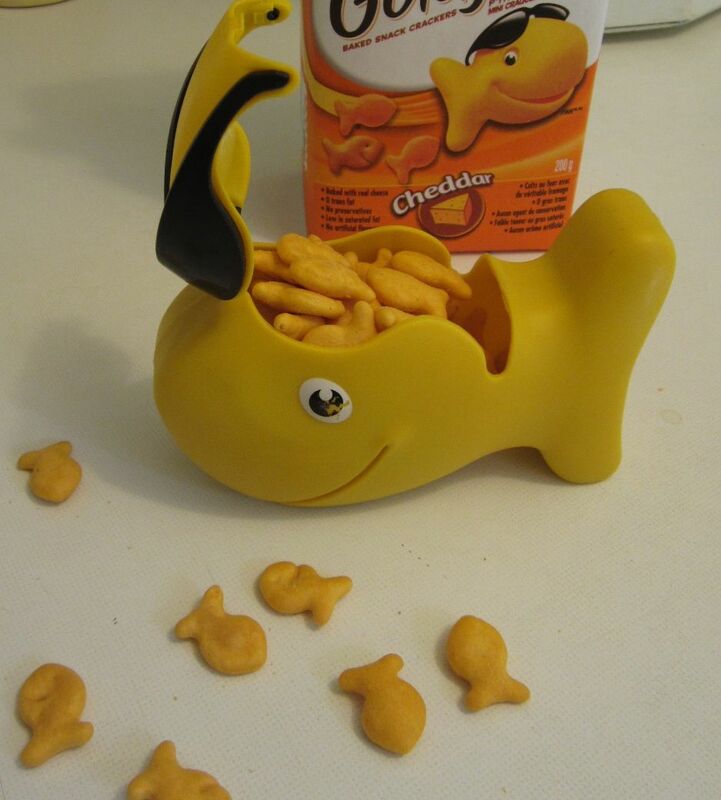 Some say that if you have a child until the age of seven, you have them for life and I think that they must be right, because my 30-year-old still eats KD and my daughter at 20, bought herself a Gold Fish cracker carrier - Finn - this summer. Anyway today on the theme of celebrating ordinary things - I am giving centre stage to Finn and linking you to one of my favourite commercials - the KD Gold Fish ad. The video comes pretty close to a definitive statement of the craziness of my family life then!!! I'm not saying that there were times when I could have "eaten the kids" - but there were times when we had to come up for air through some thick yellow sludge. Celebrate just getting through it. Put front and centre a small trophy like Finn, as a reminder that you achieved something phenomenal. <3 We all love the Gold Fish! My granddaughter..age 5..has eaten them and plain Cheerios since under the age of one! My daughter at 26 still loves the Kraft Mac n Cheese too! My granddaughter takes spells with the mac n cheese, somedays she'll eat it others won't touch it!